This canvas sneaker from See Kai Run, is perfect for back-to-school. Features fun dots on soft canvas. 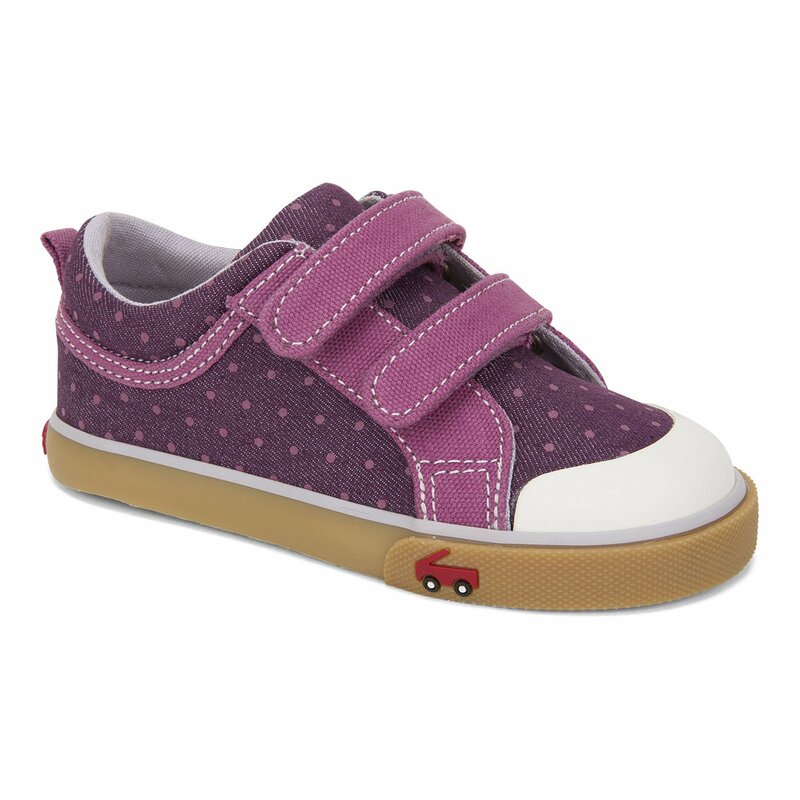 Each shoe has a reinforced toe with adjustable hook and loop closure. The insole is cushioned and the soles are a flexible rubber.